Anyone who's spent any time learning about the alternatives to the standard fossil fuel-burning internal combustion engine knows that there are arguments to be made for and against all of the main options. 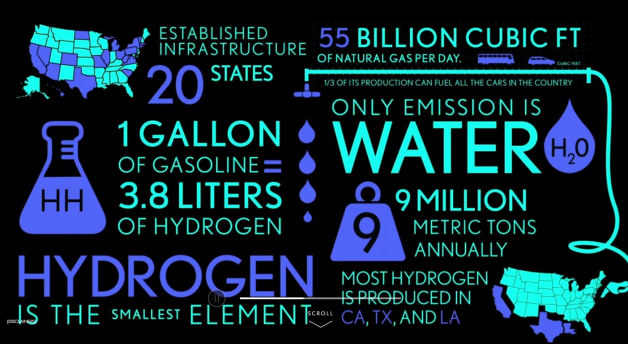 They also know that there is barely any refueling infrastructure for hydrogen fuel cell cars in the US, aside form a handful of H2 stations in California and one in South Carolina. Somehow, though Lexus, recently said there was an "established infrastructure" in 20 states in an online video ad on the company's official site. Another part of that site also made unfair negative comments about battery-powered electric vehicles, saying that it takes too long to charge the cars. Read our original post on the matter here. Hey, Toyota, the 1990s called. They want their outdated anti-EV attack ad back. Plug-in electric vehicles charge while you're sleeping at home, far more convenient than making a trip to a gas station and coming away smelling like carcinogens. Driving on electricity costs about one fifth what it costs to drive the average gas car and about a third what it costs to drive the most efficient hybrid. An electric drive has smooth, instant acceleration which can't be matched by any gasoline engine. If you don't believe me, just ask anyone driving a Toyota RAV4 EV. The videos were produced by Team One, Lexus' ad agency. Exactly where the information came from and how it made it to the website is unclear, but Lexus spokesman Moe Durand said that Lexus apologizes for offending anyone and has taken the incorrect videos down. The company will review all the materials and alter and adjust the campaign as necessary, he said.